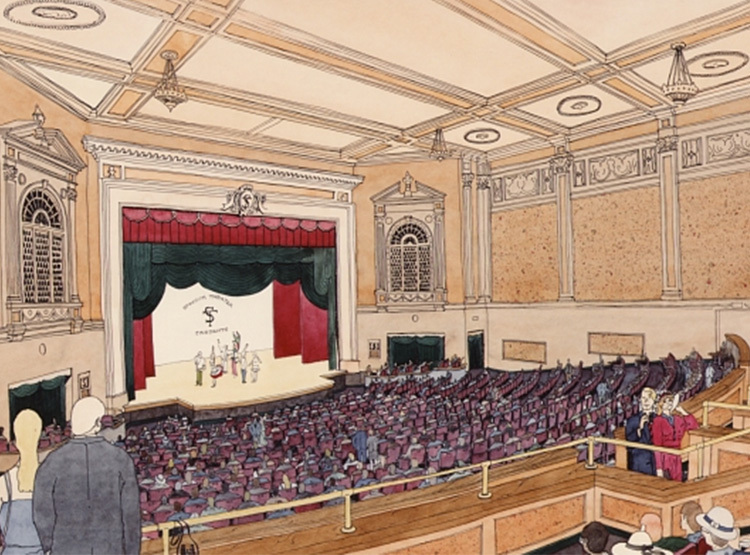 The Stadium Theater in Woonsocket, Rhode Island, required major renovation, as well as the addition of five dressing rooms, a "Green Room," a wardrobe room, and other performance support areas. The addition also included a new outer lobby that would connect the existing front entrance and lobby on one side of the theater with the parking lot on the opposite side. rfa's proposed outer lobby (new foyer), with its ornate elliptical domed ceiling, leads directly into the Central Lobby. The project also included the complete refurbishing of the theater's seating and interior finishes, together with new stage lighting and a new sound system.